The riot by Korean workers at Vinnell Corporation, Cam Ranh Bay during the Vietnam War. MACV (Military Assistance Command Vietnam, the U.S. command for all its military forces in Vietnam – ed.) had been directed to start a civilianization program on September 15, 1967. 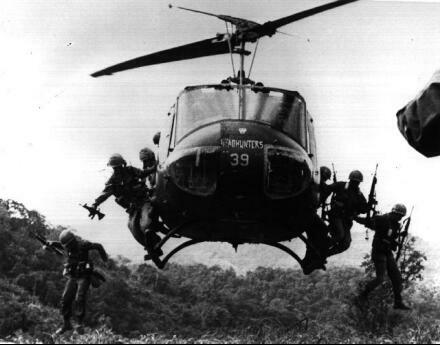 South Vietnamese workers would be substituted for U.S. military support personnel in certain logistical units. There were many advantages. American manpower could be trimmed as technical expertise was shared. However MACV was dismayed at the prospect of losing its soldiers in exchange for labor problems and potential sabotage. Most large construction, and many service, projects in Vietnam were already in the hands of civilian companies. For example, Pacific Architects & Engineers, Inc., handled the repair and utilities support for the Army, and employed over 24,000 civilian personnel. Other examples were the Vinnell Corporation, which built and maintained central power plants and electrical systems, the Philco-Ford equipment yards, and the Alaskan Barge and Transport Company, which provided stevedore, trucking and intracoastal barge service. Work stoppages and contractual disputes were already a constant headache requiring frequent Army intervention. As an example, in late 1967 some 2,000 Korean employees of the Vinnell Corporation began rioting at the major installation of Cam Ranh Bay. The primary cause appears to have been dissatisfaction with the food served them, particularly the shortage of rice. The Koreans refused to eat their Saturday evening meal on November 18, and went to the Vinnell mess hall where they turned over tables and attacked several Americans. They forced the American project manager to eat some of their food to show him how bad it was. A Vinnell Corporation civilian took out his gun and shot three Koreans. He was then mobbed and severely injured, and a Korean shot another American. The Army military police stormed the area, but the Koreans counterattacked with bulldozers and trucks which they rammed into trailers and buildings. Military guards on the vital power ships (converted T-2 oceanic tankers) anchored in the harbor, posted against VC combat-swimmers, managed to repulse Korean attempts to take over the vessels. However Korean employees in Nha Trang hijacked a number of medium landing craft and sailed to Cam Ranh Bay harbor in support. The riots were finally broken four days later, following intervention by the Korean Embassy and senior Army officers. From Shelby L. Stanton, The Rise and Fall of an American Army: U.S. Ground Forces in Vietnam 1965-1973. Ballantine Books, New York, 1985, 2003. pp.215-6.